The science of Islamic education is a study of the educational process based on the philosophical values ​​of Islamic doctrine, and as the basis is the source of Islamic law, Qur'an and Sunnah. In other words, the science of Islamic education is the science of education based on Islam or the science of education with islamic character. Moh. Roqib explained, The science of Islamic education is a set of educational theories based on the basic concept of Islamic religion that comes from the results of in-depth study of Qur'an, hadith, and theories from other scientific fields which are then combined integratively by Islamic intellectuals so that it becomes a construction of new educational theories that can be scientifically accounted for. He further explained that the science of Islamic education is a scientific study which contains integrated set of theories and data which have undergone dialogue and are explained by Islamic perspectives. Theories and concepts in the science of Islamic education not only be academically-scientifically accountable, but also must be practiced or applied operationally in education.Therefore the science of Islamic education is not only concerned with theoretical level, but also at the practical level. The science of Islamic education is not a science which the field of study is only focused on the realm of spirituality, but also practical. Both at the theoretical and practical level, the science of Islamic education seeks to realize the mission of Islamic doctrine which include: disseminating and internalizing Islamic doctrine into the souls of every human being, motivating Muslims to realize the values ​​of Islamic doctrine contained in the Qur'an and Sunnah, motivate Muslims to create a pattern of life that makes individuals and communities prosperous, as well as increasing the degree and dignity of humans in both vertical and horizontal contexts. Epistemologically, the science of Islamic education is based on one concept called academic education. The implications of the use of the concept of academic education for the development of the science of Islamic education will make the science of Islamic education more open, flexible and contextual. The development of science and technology will open a space for dialogue between the science of Islamic education and other sciences that are in line or in accordance with it, for example psychology, history, philosophy, sociology, politics, management, and so forth. So when the science of education is then juxtaposed with the word Islam, it can be interpreted as the science of education which is dialogue with the values ​​of Islam originating from the Qur'an and the Sunnah as the main source of Islamic doctrine. Based on the concept of academic education, the science of Islamic education concentrates on the theoretical-idealist level where this is an epistemological basis or scientific design for educational design such as the concept of vision, mission, goals, curriculum, learning process, and others, all will take benefit from the science of Islamic education based on academic education. The purpose of the science of Islamic education cannot be separated from general purpose of Islamic education. As a concept of education that is based on Islamic values, the purpose of Islamic education is inseparable from guidance derived from the Qur'an and the Sunnah.The goal is the target we want to achieve. According to Imam Al-Ghazali, the aim of Islamic education is to form a complete person both in the world and in the hereafter. Education is intended to make people closer to Allah SWT. According to Al-Ghazali, the purpose of learning or seeking knowledge is a form of worship to Allah. Furthermore, the result of knowledge will bring closeness to God and achieve happiness in life in the world and the hereafter. According to Al-Ghazali, humans will reach the level of perfection if they have the qualities of virtue through the knowledge.That virtue will ultimately make you happy in this world and draw closer to Allah SWT. so that you become happy in the future. Whereas according to Ibn Sina, the aim of Islamic education must be directed at developing all the potential that toward to perfect development including physical, intellectual, and manners. In addition, the aim of Islamic education must be directed at efforts to prepare someone to live in society together by doing the work and expertise chosen according to his talents, tendencies, readiness, and potential. Proving Islamic education theories that summarize the aspirations or ideals of Islam that must be sought to be realized. Providing information material about implementing Islamic education in all its aspects for the development of the science of Islamic education. Correcting the shortcomings of theories that are the handle of the science of Islamic education so as to enable the meeting of theories and practices in relationships that are closer and interactive. Islamic education is an important part of the dynamics of education, especially in Indonesia, considering that Islam is the majority religion in this country and even at the international level. Islam has a great interest in the field of education. Since the time of the Prophet Muhammad until now, Islamic education has experienced very rapid dynamics and development. 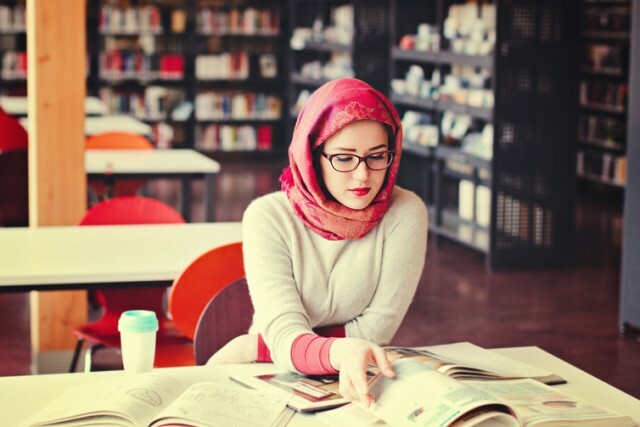 In general, Islamic Education is a conscious and planned effort in preparing students to recognize, understand, appreciate, and believe in the doctrine of Islam that are accompanied by guidance of mutual respect for adherents of other religions in the context of inter-religious harmony in order to realize national unity. Islamic education seeks to introduce the fundamentals of Islamic religion to students who are still in the childhood phase. In this phase, students are usually introduced to the concept of aqeedah and pillars of faith and pillars of Islam as the first foundation of their faith and Islam. In the following phases the students will understand and appreciate Islam in depth through the process of Islamic education provided by Islamic education teachers. Their religious awareness will increase over time with the process of internalizing Islamic values ​​that continue to be obtained in the learning process. That is a description of the understanding and purpose of the science of Islamic education. Until now, there are still many scientists and Muslim intellectuals who continue to strive to develop and develop the science of Islamic education. The science of Islamic education is not free from criticism. Among the criticisms of the science of Islamic education is that they do not yet have a clear and independent epistemological foundation without having to refer to the education science that already exists from the west. It is difficult to build an epithetology of the science of Islamic education that is independent and truly pure without taking concepts and theories about the science of education in general. Because the scientific method used to compile the science of Islamic education itself cannot be separated from western philosophy (positivism).